An insightful body of analysis holds that sudden catastrophes, like earthquakes, fires and great storms, bring people together. They pitch in, cooperate, and ignore the economic and social divisions that previously held them apart. But drought is different. It is gradual and drawn out. 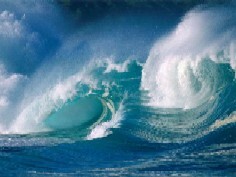 An earthquake shudders and is over; a fire blazes and dies; a storm finally passes. But a drought creeps on. Drought doesn’t dissolve differences in the shock of thunderbolt change; it gives people plenty of time to erect defenses, pick sides, and meditate on the defects of their neighbors. Drought divides people, a fact that should remind us that solving the conundrum of water, growth, and hardened demand is work best done in the present, before the curve of rising need and the downshifting line of limits slam together. Recently, Climate Progress reviewed Williams DeBuys' book, A Great Aridness: Climate Change and the Future of the American Southwest which talks about the encroaching desertification of the Southwest and from which this frightening quote comes. Droughts provide a unique stress on human societies -- and with global warming we need to find ways to manage those stresses to avoid the worst outcomes. 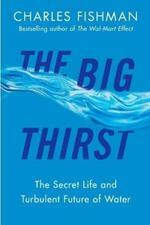 One way to start to learn about our water challenges and possible solutions is to read Charles Fishman's The Big Thirst: The Secret Life and Turbulent Future of Water. Fishman has done an incredible job in describing the varied challenges we face with water including long-term drought and providing some truly inspiring vignettes about people on the leading edge of providing solutions. In The Big Thirst, Fishman writes about Australia and the recent drought as a harbinger of what the Southwestern United States of American faces. Australia is a country where the cities themselves have begun running out of water during the last ten years -- a place that has discovered how quickly an elaborate system for gathering and providing water can become inadequate, or even irrelevant. Australia is also living through something completely new -- the division and damage that sudden water scarcity can do to the shared sense of values, to the politics, of a community. Back when the people of Toowoomba, in the state of Queensland, thought things were bad -- when it hadn't rained in five years, when the city's reservoirs were down to 34% full -- they came together in their desperation to try a drought-ending strategy people have tried for five thousand years. They turned their eyes and their voices heavenward, and they prayed for rain. The Reverend Edgar Mayer, of Living Grace Church, offered God a two-for-one deal, "If it is our sins that caused the drought," he prayed, "then please wash away our sins away with your rain." That evening's prayers were not answered -- not then, not by the following April, or the next, or the next, not even four Aprils later, by April 2009. It was impossible to know on that Thursday night, but Toowoomba's water troubles hadn't even begun. But even more unsettling, when the rains finally come, they can be a curse and not a blessing -- because global warming makes the climate more extreme. After a decade of drought in Australia, the rains finally came. In 2011 Queensland experienced floods described as biblical. One of the places the floods came was in Toowoomba where six inches of rain fell in 30 minutes. What Fishman shows through the book is that with careful planning and ingenuity, humans can solve the problem of delivering clean water reliably to everyone if we really want to. But we need to spend enough on our water infrastructure, conserve the resources we have and plan for the future. The Scientific American has a very good review of this book. Gender mainstreaming is the method of evaluating the implications for females and male of any proposed activity, also legislation, procedures or arrangements, in all sectors and at all levels. It is a policy for making female's help with assignment writing as well as male's interests and activities an integral dimension of the configuration, implementation, and evaluation of strategies and programmes in all spheres so that female and male advantage equitably. You began the greatest advance which is adding activity to your life. Cardio is magnificent. Best Personal Care Products. The circular is my most loved as running executes my knees. Add weight preparing to your schedules. The more muscle you have the more calories you consume. Under the circumstances of global warming and climate changes in every part of our planet the lack of drinking water is the major impact. Over ivory research review had discussed this issue with detailed analysis and sustainable solutions to this problem. Thanks for your article. keep it up. Recommendations you give have a nice thought.domain 1 euro is the best service to take.